The Defense Intelligence Agency has provided the first official US assessment of North Korea’s latest missile test, telling a Senate committee that the reclusive nation is on a clear trajectory to obtaining a nuclear-armed missile that could hit the US. 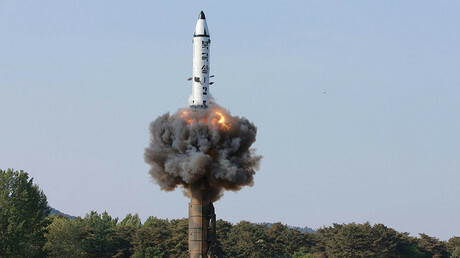 DIA Director Lieutenant General Vincent Stewart and Director of National Intelligence Dan Coats testified before the Senate Armed Services Committee about worldwide threats on Tuesday, just two days after North Korea test-launched its Pukguksong-2 intermediate range ballistic missile (IRBM). Although the US confirmed Sunday’s launch, American experts doubted the reliability of the new solid-fuel type for the IRBM after so few tests, Reuters reported. Solid fuel is harder to produce than liquid, but is more stable and can be transported in the missile tank to allow for a swift launch. 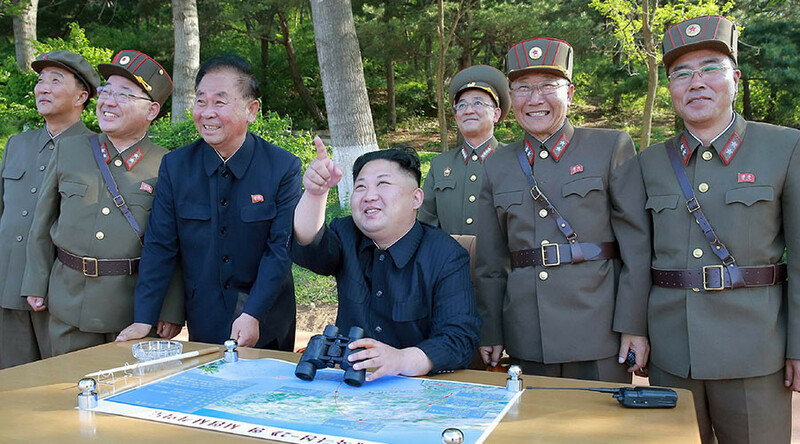 Pyongyang also conducted a medium-range ballistic missile test the previous Sunday, and said the rocket used has the “tactical specifications and technical characteristics” of being capable of carrying nuclear warheads. The tests allowed North Korea to move a step closer to its “inevitable” goal of developing a nuclear-armed warhead that could reach the US, Stewart said. "If left on its current trajectory the regime will ultimately succeed in fielding a nuclear-armed missile capable of threatening the United States homeland," he told the senators. "While nearly impossible to predict when this capability will be operational, the North Korean regime is committed and is on a pathway where this capability is inevitable." The principal impediment to achieving that goal so far is ensuring that its ballistic missiles survive reentry into the atmosphere, according to Stewart. “They understand the physics, it’s just a matter of design,” he said. Sunday’s missile test showed capabilities “short of an ICBM” (intercontinental ballistic missile), Coats said, an analysis consistent with the initial assessment done soon after the North Korean test. “Taken together,” the missile tests, along with the 2016 tests of more than a dozen theater ballistic missiles and its submarine-launched ballistic missile system, its launch of a satellite into space last year, and its launch earlier this year of what North Korea said was a land-based variant of its submarine-launched ballistic missile “highlight Pyongyang’s commitment to diversifying its missile forces and nuclear delivery options while strengthening missile force survivability,” Stewart said. It was an assessment with which Coats agreed, saying in his written testimony that North Korea’s nuclear weapons and missile programs “will continue to pose a serious threat to US interests and to the security environment” in the region throughout 2017. “North Korea’s weapons of mass destruction program, public threats, defiance of the international community, confrontational military posturing, cyber activities, and potential for internal instability pose a complex and increasingly grave national security threat to the United States and its interests,” he wrote. North Korea, along with Iran, is enhancing its abilities to disrupt military communications and navigation, Coats wrote. However, Coats told the senators, the US does not have any evidence that North Korea was behind a recent ransomware attack known as WannaCry that victimized companies, services and people in more than 100 countries within days of its release. At the request of the US, Japan and South Korea, the UN Security Council is set to meet Tuesday to discuss North Korea’s latest tests, which were carried out in violation of UNSC resolutions. The UN measures are aimed at forcing Pyongyang to curb its nuclear and missile programs, which are the major cause of escalating tensions in the region.